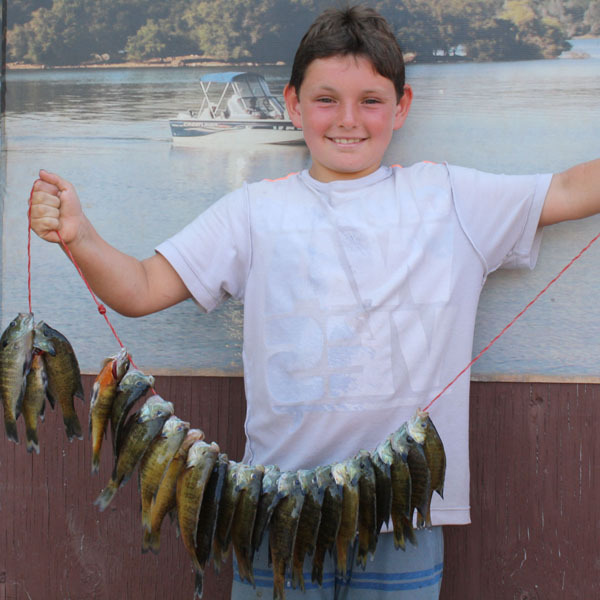 Dylan Dziedzic from Pacifica RULED the picture board this week, mostly with multiple Bluegill catches, but also a 7 lb. 8 oz. catfish. 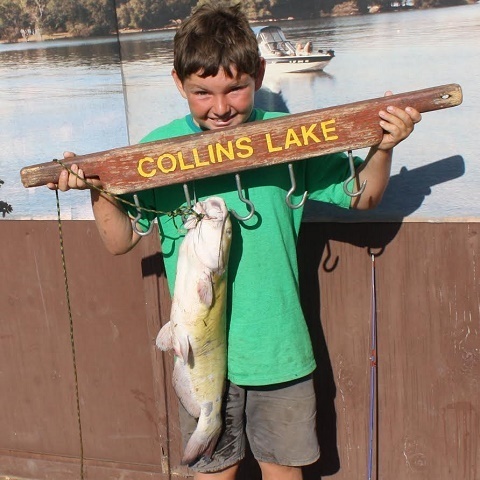 He used worms for the Bluegill and hot dogs for the cat. 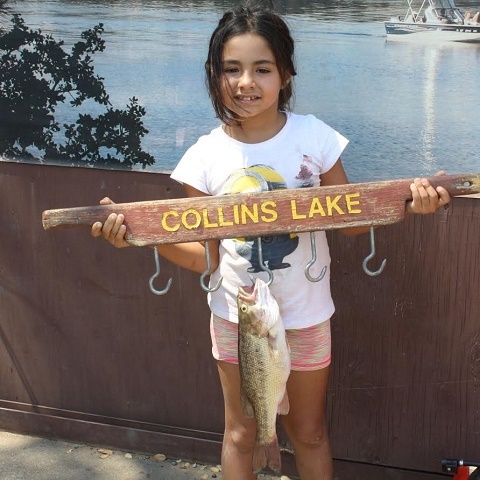 Jaclyn Fruzza caught her 1st fish off the dock, a Bluegill, using worms for bait. 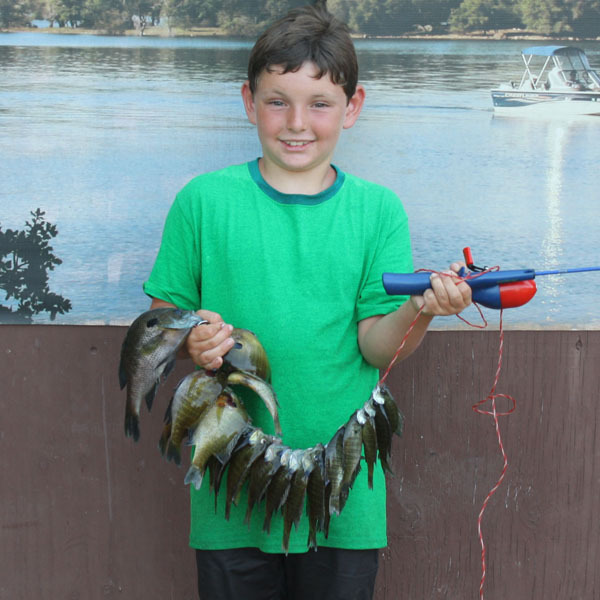 Aiden Schmid and his buddies caught a total of 9 trout fishing with PowerBait in the Open Area closest to the dam. 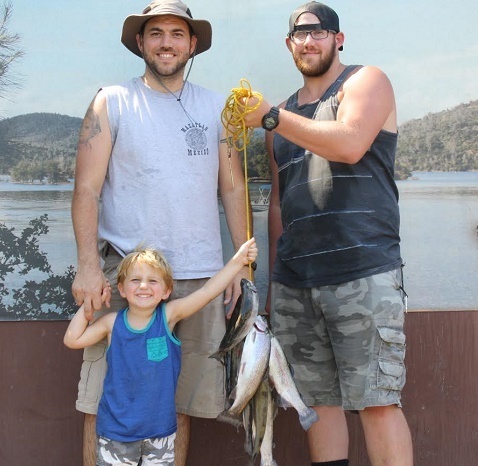 Simon & Trevor Ross from Edwards Air Force Base did fantastic on live crawdads or worms, together they hooked 3 bass & 2 cats. 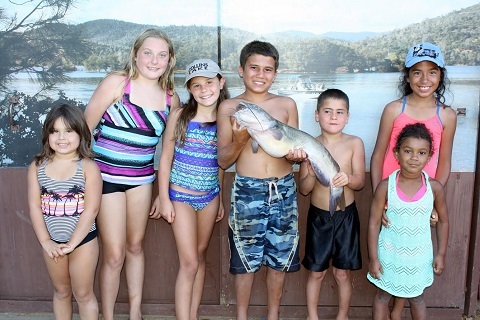 The biggest cat weighed 7 lb. 12 oz. and their biggest bass was 3 pounds.